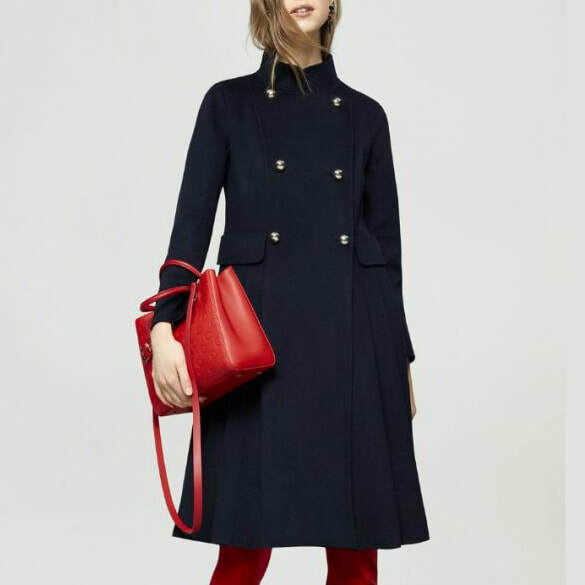 The double breasted coat in double-faced wool with golden buttons and pleated skirt is finished with a raised collar and two flap pockets. 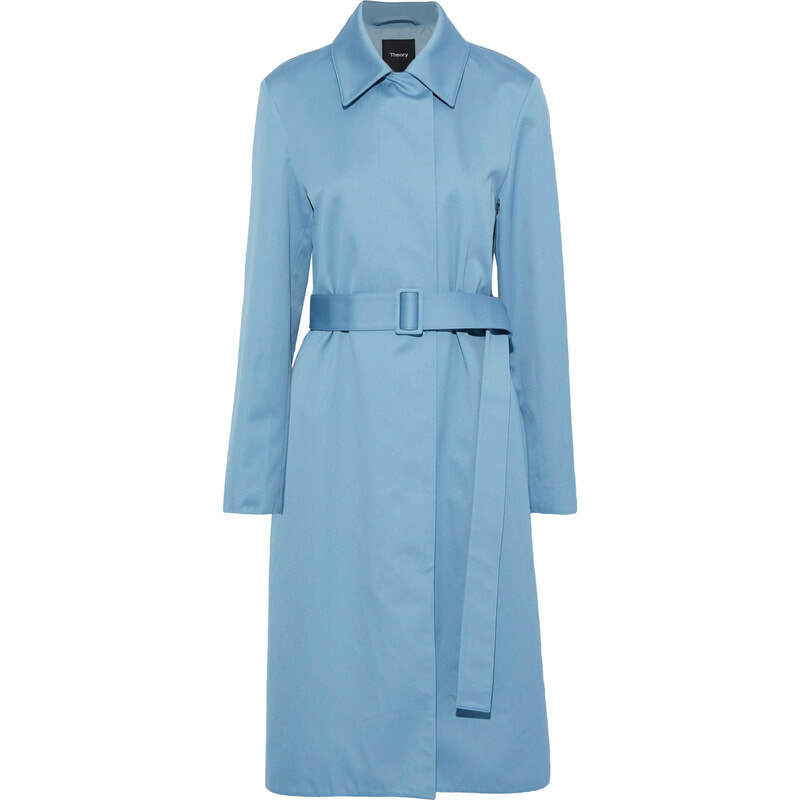 Only available at Carolina Herrera flagship stores. 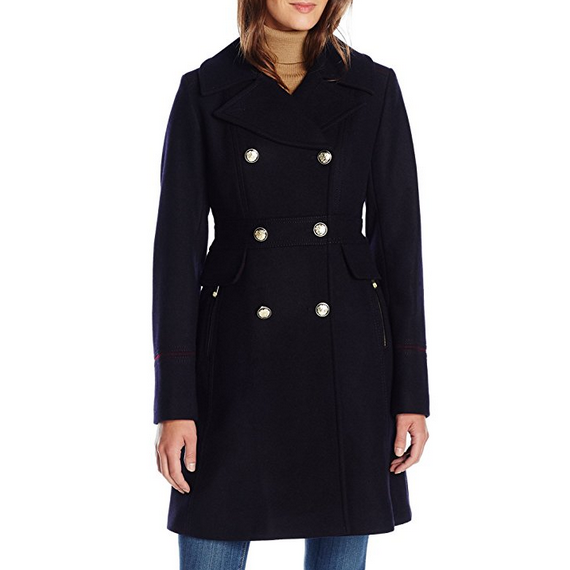 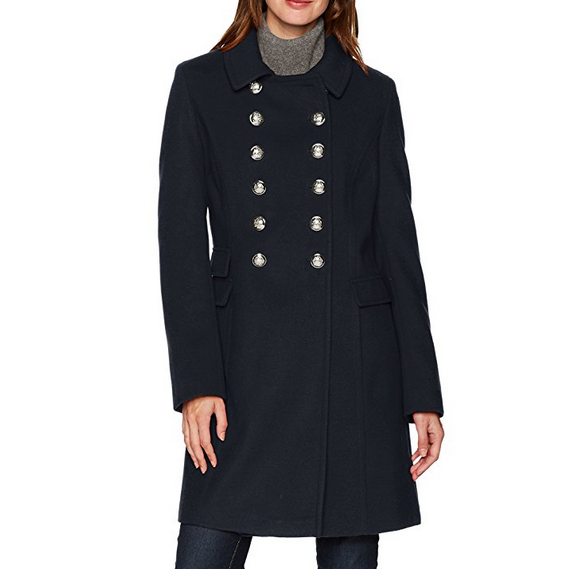 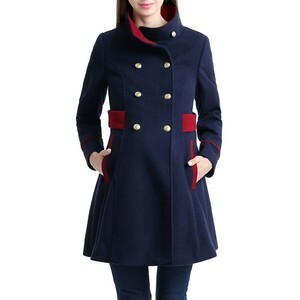 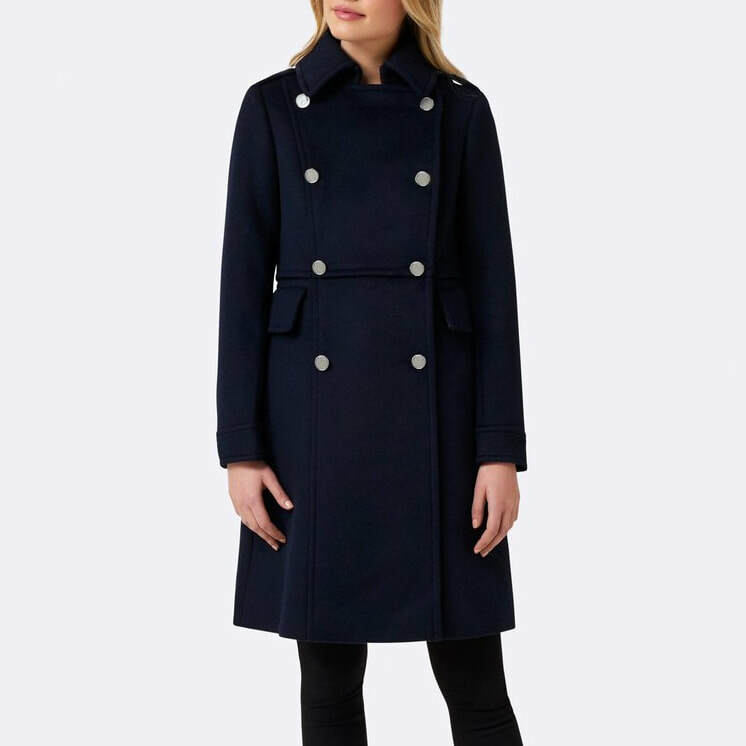 STYLE FILE: CH Carolina Herrera Navy Double Breasted Wool Coat as seen on Kate Middleton, The Duchess of Cambridge.